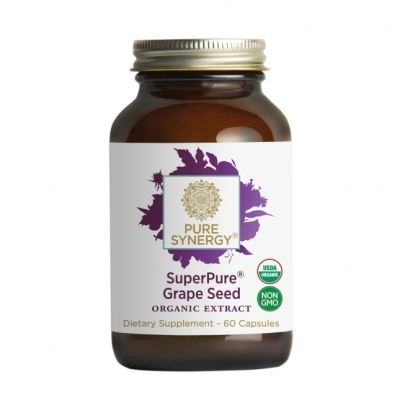 Organic grape seed extract is nature's great multitasker, doing wonders for so many aspects of our health. The secret behind grapes is linked to a class of plant compounds called polyphenols, more specifically to those inside grapes delicate seeds and skins called proanthocyanidins. However, all grape seed extracts are not created equal. As grapes are notorious for pesticide & fungicide contamination, we worked tirelessly to source the finest grapes that are 100% certified organic to create the first SuperPure grape seed extract of its kind in the industry. But we didnt stop there. Our extract is highly concentrated to a full 150 mg of organic proanthocyanidins per capsule, and synergized with organic red wine grape skin for optimal benefits. 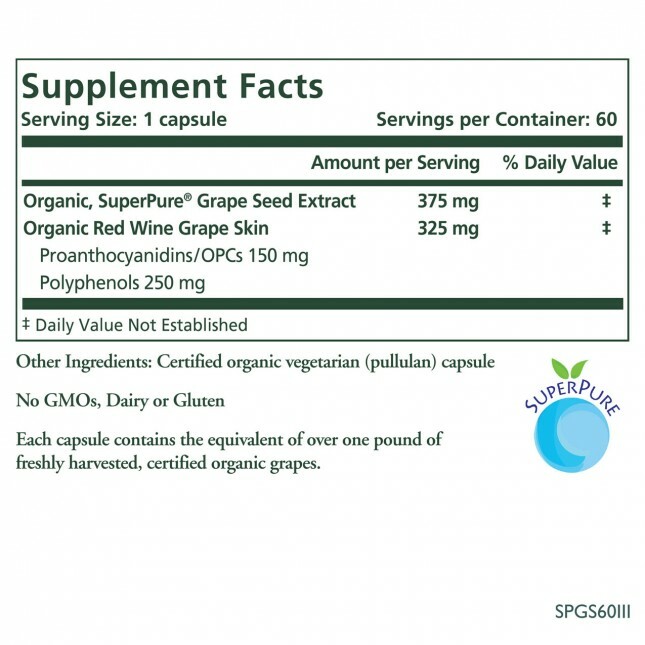 The First Certified Organic, Standardized Grape Seed Extract. Each capsule contains the equivalent of over one pound of freshly-harvested, certified organic grapes!